What better way to celebrate than by having an anniversary Blog Hop. Join us in the fun and win some AMAZING PRIZES. If you have hopped over from the Simon Says Stamp you are right on track. You can start the hop over on the Altenew Card Blog. I created a layout to celebrate this special occasion and used the DEAREST FRIEND stamp set from Altenew. I combined one of the stamped images with the Altenew Tropical Fiesta Watercolor Markers to create a vibrant flower arrangement. To create the coloured image I started with some watercolour cardstock and added water and colour. Once it was dried I stamped my image with Black Permanent Ink from Altenew. I cut out around myself and my son in the photo so that I could tuck this part of the photo behind the flowers. I also cut out some leaf shapes from one of the patterned papers from the Live Your Dream collection. A couple of embellishments from the same collection add detail and for my title, I used the sentiments from the stamp set. Love the super colorful layout! Such an adorable photo too! Looks so we'll put together! ♥️ Happy Birthday Altenew! I really like this design. The color are so vibrant. This is a beautiful layout and design! I love the amazing, rich color of the flowers that frames the faces so beautifully! I love that Altenew set - one of my favorite! Love Altenew - Happy 5th Birthday!!! pretty layout! Happy Anniversary to Altenew! Altenew has the best floral stamps ...thank you for your inspiration! What a fun layout for your happy photo! You put together a great layout. Happy Anniversary to Altenew. Such sweet layout, I love that you trimmed the photo and it mingles with the other elements so seamlessly! What a bright and cheery layout! Great layout. Your choice of vibrant colors really makes the photo pop! Happy 5th anniversary to Altenew! Great Layout!! Love the Altenew Watercolor Brushes!! One of my favorite stamps. You did a great job. I'm so in love with Altenew!! Can't earn money fast enough to buy all the ones I want but I do have quite a few ... about 70 sets to be exact! So happy to be able to purchase them here in Germany!! Congratulations Altenew! And thank you Lilith for the lovely layout. Thank you for sharing your project.. Awesome layout. Those watercolors are on my wish list. What a beautiful layout. I love AltEnew flowers. Great layout. Loving those watercolor markers! So pretty! Love this cute photo of you and your baby!! Beautiful scrapbook page. Thanks for participating in the blog hop. I love to see scrapbook pages. It is another great use of stamps. This is a beautiful layout. Thank you! I love the colors! I need to get my hands on some of those brush markers!! This is a beautiful layout and you used the Dearest Friend stamp which is on my wish list. I don't own all the Altenew floral design sets, but I seem to be trying too! LOL! This blog hop may be detrimental to my checking account! Super fun page with such great color saturation. What a gorgeous layout. I love the colors and such a sweet picture! Thanks for sharing. Happy birthday to Altenew! Thanks Lilith for sharing all your wonderful Layouts. This one is lovely, the pop of color brings the picture to focus. Have a wonderful day! altenew products always bring out the best in your work, this one is just vibrant and creative. That's a lovely layout. Happy Anniversary to Altenew! Great color choices and very attractive layout. Happy Anniversary Altenew. happy anniversary to Altenew and thanx for the inspiration! awesome page! Such a sweet picture. Love these colors, so bright and cheerful. Thanks. Happy Anniversary Altenew! Thank you for bringing such amazing products to this industry! Wow 5 years. Happy Anniversary Altenew! Love supporting small companies. What a SWEET photo! And I love the brilliant colors that you use on the layout! Love the stamp set you used for your layout. Such a cute layout! Thanks for sharing! Well awesome and your pictures added the final touch. Wow congratulations on five years! Altenew is by far my favourite stamp company. The majority of my stamps are by Altenew and I have all the inks and re-inkers. I look forward to each release and I love the build a flower sets! Lilith, beautiful intense colors, thank you for the inspiration! The watercolors are so vibrant! Happy Anniversary Altenew , Very pleased to be a part of your success 5 years ago 🌷 , much more success to come . Beautiful Lilith ! What a wonderful, colorful layout! Beautiful way of using the flowers... so colorful and pretty! Happy Anniversary Altanew! Vibrant colors on a very pretty floral image. The water brush makers look so interesting. Beautiful card. Love the bold colors. Great idea, beautiful colors, lovely! Such a sweet photo. Nothing like a childs love. Lovely layout! The colors make it really pop off the page! Your work is amazing. Thanks for your time and efforts. Thanks for sharing. Oh wow! I love how you cut out the photo for this layout! Such a wonderful idea! Happy Anniversary Altenew! Love your products. How fun - good to see stamp sets in layouts. Happy Anniversary Altenew! This layout is stunning! Love the deep bright colors! Love the layout and the watercolor markers are so gorgeous with the bright pigment. Beautiful job! Happy Birthday Altenew! What a lovely layout! Gorgeous colors! Happy anniversary, Altenew! Thanks for sharing your amazing layout with us, the colors are wonderful. I love this stamp set. Happy Anniversary !! great set to embellish your scrapbook page. What a fun memory to water color and memorialize for the future! I love the bold bright colors that you used for your bouquet of flowers. Happy Birthday to Altenew and your glasses in the photo are quite snazzy! 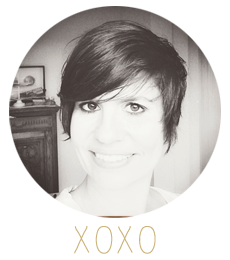 Excellent blog hop! This clean and simple has the look of a much more complicated card. Thanks for sharing. Excellent clean and simple design. All the best for the next 5 Altenew! I absolutely love the messy and bright coloring of the flowers - so cool Lilith! Beautiful layout! I like how you tucked your picture in between the flowers. Super! Happy Anniversary to Altenew! Such a beautiful layout!!! I LOVE the bright colors, there is so much movement and dimension its so lovely! Great scrapbook page. The colors just pop. I love the unique way in which you colored! Love your layout, beautiful color choices! Happy Birthday Altenew! Beautiful layout! Great showcase of Altenew products!! Beautiful layout, and love seeing this set used in a scrapbooking format too! Happy Birthday Altenew. I love Altenew! My 'wish list" is huge and forever growing. Happy five to Altenew on a job so well done! 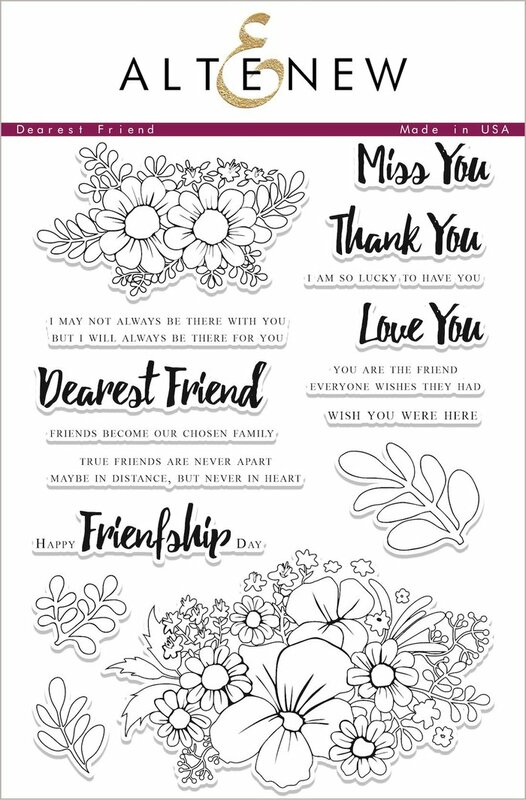 Cool Layout - I just got this Dearest Friend stamp set - love the flowers and the sentiments. I also love the Live your Dream collection! Awesome design! I love it. What a great layout. Thanks for the inspiration, I never think to stamp on my layouts (I'm not a scrapbooker, but do make pages as gifts), and it's just what I needed to get the layout done that I've been stuck on (I've got the perfect stamp from Altenew that will fix all my problems). What a darling layout, Lilith! I've been a fan of Altenew's goodies from the beginning and I look forward to more of their designs for many years to come, I hope! Very nice layout! Thank you for the chance to win! I often trim the photos on my layouts when the background is distracting or the background colours are harsh. Your resulting layout looks amazing with the vibrant colours. Altenew was a game changer with the multi step stamping. Their stamps bring my cards to a whole new level. Their inks make it so easy also. Congrats on your 5 years. Very colorful. I really like the Tropical color assortment. Soo fun and very colorful! Very cute. Love the idea. Outstanding layout. I love the colors you chose and the photo is so sweet. Beautiful work Lilith! 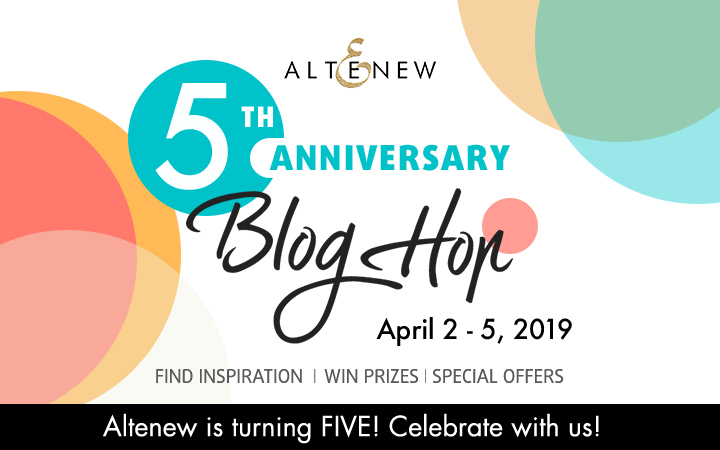 I can't believe Altenew is turning five! Great products and company! Your use of photos with stamp and dye elements is very creative. I liked seeing something new and a different way to use our artistry. These watercolor pen/ markers look like so much fun to play with. Thank you! Beautiful design and great blog. Love your style and techniques. I can't wait for your next project. The sweet photo is the focus and you've surrounded it with beautiful flowers. It is a lovely layout. Very nice page! Love the watercolors and all the little details! Wish list here I come! Thanks for sharing! I love the watercolor flowers. The colors are so vibrant. Such a sweet layout! Great colors. I love how you used this stamp set! So gorgeous! Those colors are so vibrant! I love that you also use stamps on scrapbook LOs; which is how I started my stamping obsession!! LOL!! Awesome page Litlith, I always love your lay outs and use of colour. Happy 5 th Anniversary and thank you for your participation to this blog hop. I really love altenew stamps. They are always so elegant and unique. Great layout on this. Love the bright colored flowers. This is a great tribute to Altenew's 5th Anniversary! Such beautiful vibrant colours. I love the set that you used to make the layout. Such virbrant rich colours Lilith! Not to mention one of the sweetest pictures! Isn't it the greatest when babies open their mouths wide & "kiss" you? Love the bright colors! Can’t wait to try some of those great brushes. Happy 5th Anniversary. Wishing you many more. Congrats Altenew! Love blog hops! Thanks for such beautiful projects and inspiration. Wow! Love all the colors and darling layout! Congratulations to Altenew on their huge milestone!! 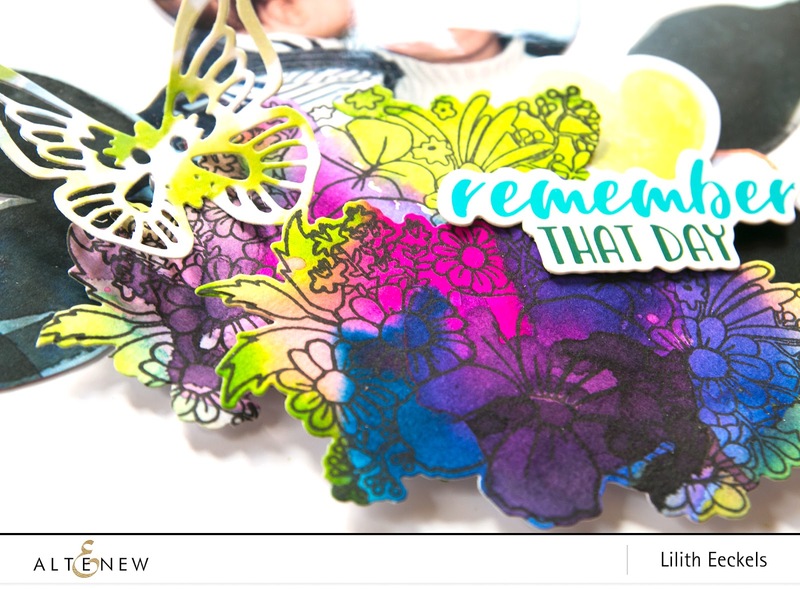 The Dearest Friend stamp is one of my favorites and you did a beautiful job on your layout! Thanks Altenew and thanks Lilith for the inspiration. A very sweet layout. Love the picture! lovely layout - CUTE baby!! Love all that color. Cute layout! Happy 5 to Altenew. Beautiful layout! Love it! So sweet! Love this colorful layout! Happy 5th Anniversary! Beautiful page. I've been a fan of Altenew stamps for years, and love that they've recently released so many other fabulous products. The water color markers are definitely on my wish list. 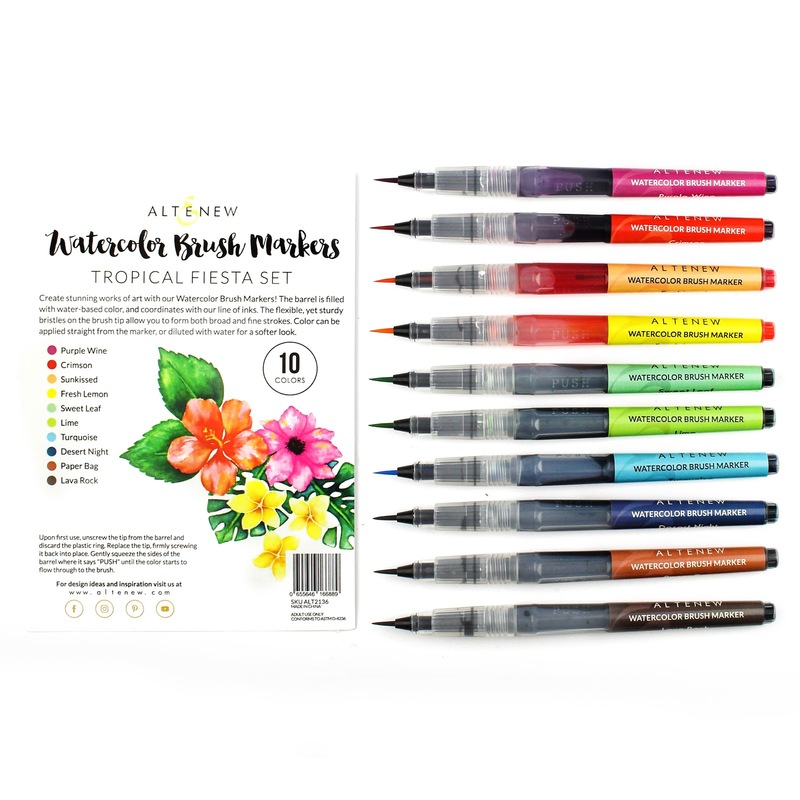 I really love those watercolor brush markers, I think that will be my next purchase. I'd love to try them out! Super layout! Love these colors! So colorful! Happy Brithday Altenew! You always tick the Altenew products. Love seeing your layouts!! Looks like a fun stamp set to use. Thank you for your wonderful ideas and videos. Happy 5th Altenew! Thank you for a fun way to create this happiness filled layout ! Happy birthday Altenew ! Lovely layout, love the bright colors. Thanks. Congratulatiions Altenew on your aniversary! How bright and happy looking! How nice to incorporate the picture, paper and the flowers to create an endearing memory. this is something I will try. I love the watercolor look. Beautiful colors and layout. Thank you. I don't scrapbook, but I could see this as a great card too! 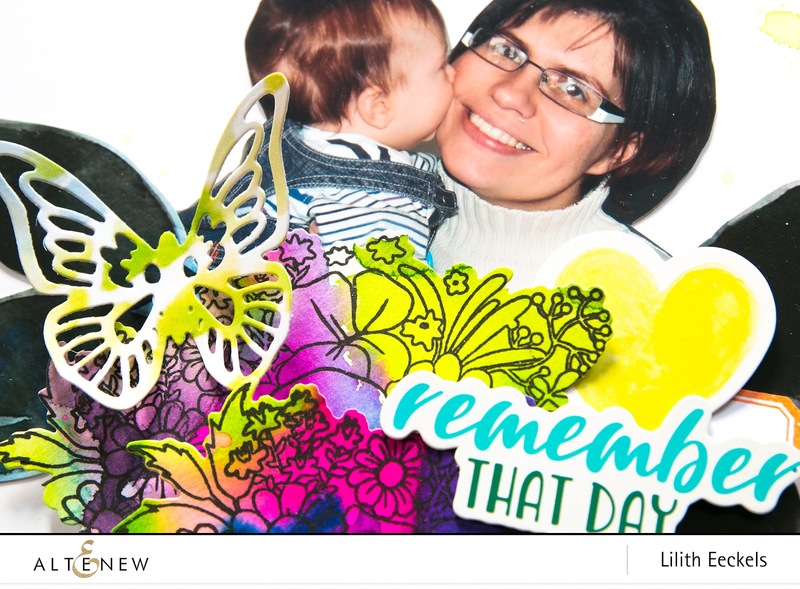 Oh Lilith, that scrapbook page is just adorable....pretty florals and pretty lady.....such a sweet photo...thank you so much for sharing on this wonderful occasion for Altenew....I just love them and all that they do....What a great day!!! I love the colors you used and of course, the photo are adorable too. I can't wait to get the Watercolor Pens, they look like they will be so much fun to use. this stamp set is just so pretty, can't wait to get my hands on this. What a sweet layout. I'm not very familiar with the watercolor brush markers but they look like they're a lot of fun. Thanks for sharing! Loving your page! I like how the flowers are holding you two up. I love the easiness this page has about it. Great job! Awesome layout and colors. Love it! Thanks and Happy Anniversary Altenew. This is such a sweet photo. You remind me of my aunt when she was a bit younger. Your layout is very pretty! What a sweet layout. Thanks. Your design is so happy! Happy birthday Altenew! Super colourful and cheery. Love it. Try to watch all your Altenew Lives. Always inspirational fir my ever growing stash of Altenew. Gorgeous layout! I love the vibrant color of the markers and the way your photo is just tucked in amongst the flowers. The sentiments in this set are really beautiful. Nice job on your layout! Fun colors and layout! And a sweet picture too! I'd love to try out those watercolor markers. Happy anniversary to Altenew! A very pretty layout. Love the colors you chose. What a beautiful and happy layout. Lovely layout. Your picture is the cutest. My heart melted. What great layout. Beautiful colors! Thank you for sharing!!! Great layout! Beautiful colors! Thank you for sharing! What a lovely page and beautiful deep colors on your flowers! Super adorable page and photo, LOVE the vibrant rainbow of colors! I love how you incorporate a photo and stamps! I am always looking for ways to justify my collection ... besides my $5,000.00 card...lol... thank you for sharing! Lilith, I too am a scrapbooker! 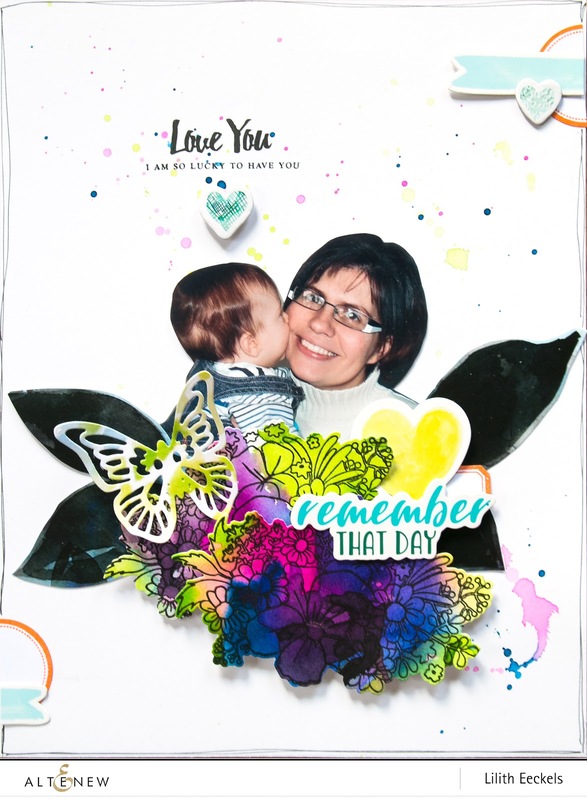 I appreciate how you used the florals on your page, I also love using the sentiments such as the ones in this very stamp set as my own embellishments/stickers on a friendship page for example. Great job on the layout! Gorgeous colorful layout. Happy Birthday Altenew you are sooo awesome!!! A new technique I'd like to try. Very colorful. What a beautiful page. The painting is STUNNING and your images draw your eye to the photo. Love this layout! The colors are gorgeous! Thanks for sharing your talent in this blog hop!